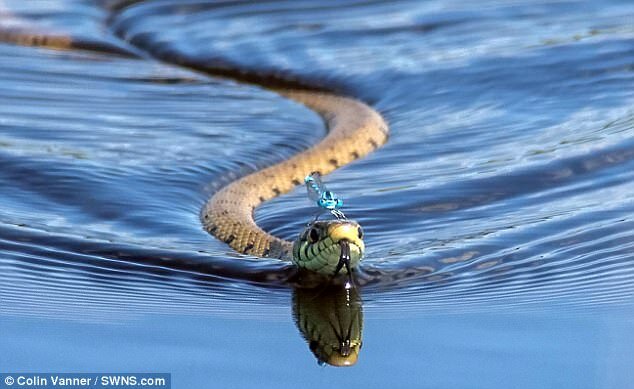 Great photo of a grass snake with a dragonfly hitching a ride across the water on its head! Was in the Daily Mail. That photo is absolutely stunning.